A new year means a fresh start and 365 days to achieve everything you want this year. Unfortunately, 80 percent of New Year’s resolutions fail by February. It certainly doesn’t help that January is a particularly difficult month for self-improvement. For one, we’re coming off a holiday hiatus and are struggling to get back into the groove of things. Secondly, crummy winter weather practically begs us to stay on the couch in front of the fireplace all day — not exactly conducive to productivity. Nevertheless, we have faith that you can power through to December 31 and make this year your best year yet. To help you get there, we’ve compiled four of our favorite tricks to sticking to our New Year’s resolutions. Make sure your resolution is actually self-improvement. Do you want to lose weight to be a better, healthier version of yourself, or just because you think it’s what you should do? Unless you’re truly committed to your goal, you’ll never achieve it. It’s not healthy, nor will it make you happy, to work toward a goal that you don’t think is improving your life in some way. One way to set goals that will make you happy is to think of your end goal: where do you want to be in a year? If you want to advance in your career, list out what you need to do in order to get there. Then, make those steps your goals. That way you’re working toward something you truly want and you have a clearly outlined path to get there. 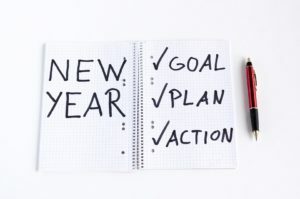 A huge reason many of us don’t keep our New Year’s resolutions is simply because they’re not realistic. Sure, it’s great that you want to go to the gym every day, but if you didn’t go to the gym at all before, is it really realistic that you’ll make it there every day? If your resolution seems overly ambitious, see if there are smaller, more attainable goals that can help you work up to it. For example, if you want to be able to run a marathon, set a goal to be able to run one mile by February, two miles by March, and so on. If your goal is within reach, you’ll be more motivated to reach it. If you don’t trust yourself to hold yourself accountable, buddy up. Working toward a New Year’s resolution with someone else adds a little friendly competition to the mix. Not only will that person challenge and motivate you, but it’s also great to have a support system that knows what you’re going through. We’ve even heard of some friends placing bets on who could keep their New Year’s resolution the longest. While it may not be the money that holds you to your resolution (because we’re doing this for self-improvement, right? ), it definitely makes it more fun. And who doesn’t love bragging rights? 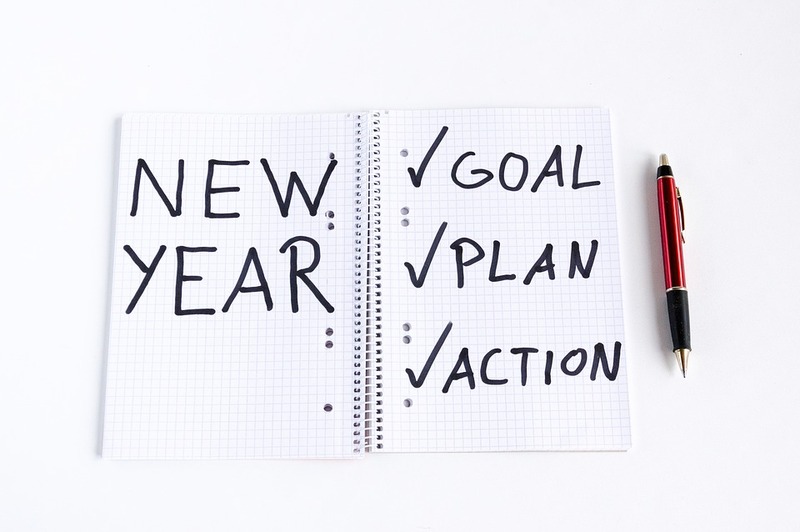 Better yet, tie your resolution in with a charitable act and you’ll feel more accountable. For example, if you want to improve your fitness, sign up for a marathon or walkathon for a charity. Once you sign up, you’ll be committed to it and the fact that your resolution will be part of a greater good will give you even more motivation to stick to it. If you listened to our first trick, then your resolution should be about improvement, not perfection. Don’t beat yourself up if you slip up. Your resolution is about becoming a better version of yourself and that doesn’t happen overnight. The worst thing you can do is give up. If you fall off the wagon for a few days, just hop back on. So long as you keep working toward your goal, you’re making progress. Of course, if your New Year’s resolution is to organize your most successful event ever, all you need to do is give us a call. Between prize indemnity insurance and weather insurance, we can help draw more crowds to your event and make sure you don’t lose out if Mother Nature has other plans for your event. Contact us today to learn about your options!